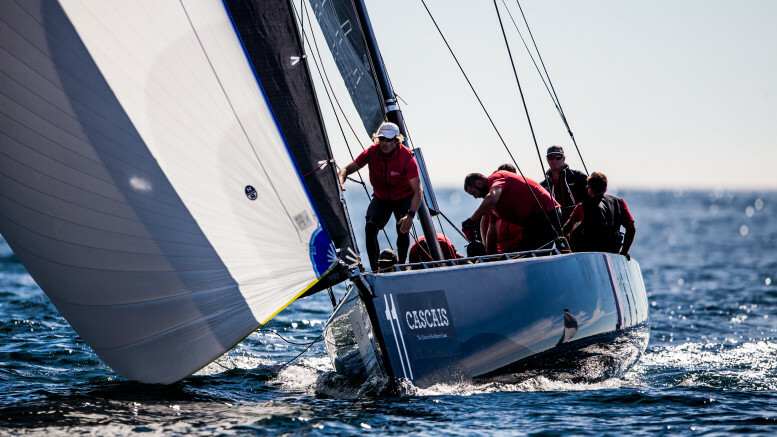 Saturday’s racing at the RC44 Cascais Cup was the hardest yet for race officials and crews alike. First they had to wait out on the water off the Portuguese sailing mecca for a light breeze to build and stabilise long enough for one race to be held. Then, some wise race management saw everyone decamp east, back towards the Marina de Cascais where a new course was laid and a second and final race shoehorned in, in a relatively stable eight knot wind. With just five points separating the top seven boats at the start of the day, there was inevitable upset on the leaderboard. Ultimately today’s two top scoring boats displaced Peninsula Petroleum, leader of this regatta for its first two days. For the third consecutive time, Igor Lah’s Team CEEREF won the first race of the day, but finally broke their unfortunate habit of following this up with a last in the second race, instead coming fifth. Team CEEREF tactician Adrian Stead was pleased to have finally gained the lead overall, which has been a long time coming considering they have won four of the eight races held over the last three days. In the first race today Stead observed that there was a reasonable amount of current taking boats over the line early and this also made for a long tack out to the right of the course. During the race they had a prolonged battle with Chris Bake and Team Aqua with their opponent regaining the lead on the second beat only for Team CEEREF to sneak around the outside of Team Aqua, which was slow rounding the top mark for a second time. 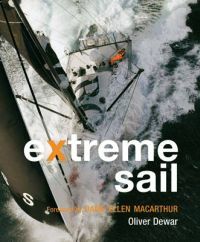 “Finishing mid-fleet [in the second race] when it could have been an eighth – it was a not bad day. We achieved our points goal,” said Stead. Vladimir Prosikhin’s Team Nika scored the same result as Team CEEREF, only in reverse, to end up just one point behind their Slovenian rivals, with Peninsula Petroleum a further two points astern of them, in third. As to the second race they won, Prosikhin said they had done well not to start with the main group crowded up by the race committee boat. Instead, with the help of American tactician Ed Baird, they found a good lane to leeward and then extended. Going into the final day of the RC44 Cascais Cup, the leaderboard remains supremely close with five points separating the top five and eight points between the top seven. In fact with three races scheduled tomorrow and 27 points available, any of the nine teams is still capable of winning.